Jacob Dahl Rendtorff, PhD and Dr. Scient. Adm. is professor of philosophy of management and ethics at Roskilde University. Rendtorff’s recent publications are Cosmopolitan Business Ethics. Towards a Global Ethos of Management, Routledge 2018 and Stakeholder Theory a Model for Strategic Management, Springer International Publishers 2016. Rendtorff is a member of the steering committee of the European Business Ethics Network (EBEN) and of the Steering Committee of FISP (International Federation of Philosophical Societies). Rendtorff is editor of the Springer Series Ethical Economy, associate editor of Social Responsibility Journal (Emerald) and European editor of Journal of Business Ethics Education. Presently, Rendtorff’ s main research interests are philosophy of management, sustainability, CSR, and cosmopolitan business ethics. 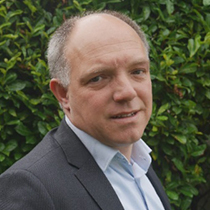 After graduation Vandenbempt was appointed lecturer of Strategy and Management at University of Antwerp and at the Antwerp Management School. Since 2008 he is Professor of Strategy at the University and business school. 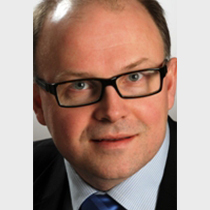 At the Antwerp Management School he is also Academic Director EMBA since 2011. He has been Visiting Professor at the James Madison University in the USA, the IBS in Moscow and the Goa Institute of Management . In 2010 he was also appointed independent director at the Antwerp World Diamond Centre. Vandenbempt's research interests focus on "innovation and business strategy in business-to-business markets and on the interrelationship between cognition and strategic action. He also lectures and consults on industrial marketing and strategy issues for industrial companies. 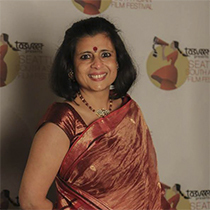 Dr. Meenakshi Rishi is a Professor of Economics at Seattle University. She is the Director of the International Development Internship Program at SU. She has taught previously at the College of Business Administration, Ohio Northern University. She earned her Ph.D. from the Department of Economics at University of Massachusetts, Amherst. Dr. Rishi is a member of the American Economic Association and the Committee on the Status of Women in the Economic Profession. She is also the Executive Director, Association of Indian Economic and Financial Studies and is on the Research Council of the Indian Institute of Finance. Dr. Rishi’s research focuses on economic development challenges faced by emerging economies, such as capital flight, sustainable economic development, and the role of entrepreneurship in economic growth. She has published 37 journal articles in journals such as the Journal of Development Studies and IMF Survey that are highly regarded in her field. She has also authored numerous conference presentations and proceedings. 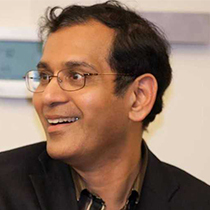 Dr. Niranjan Chipalkatti is a Professor of Accounting at Seattle University. He is currently the Chair of the Department of Accounting at Seattle University and the Program Director of the Masters in Professional Accounting (MPAC) program. 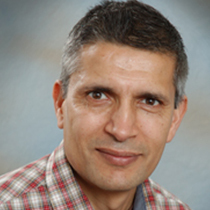 Dr. Chipalkatti earned his Ph.D for the University of Massachusetts, Amherst. He is also member of the Institute of Chartered Accountants of India. Earlier in his career, Dr. Chipalkatti worked at A.F. Fergusons and at Hindustan Unilever. For a brief time, he also ran a valuation consultancy business in Ohio while he was an Associate Professor of Accounting at Ohio Northern University. Dr. Chipalkatti’s research focuses on the role of fair value and accounting information in reducing information asymmetry in capital markets. He has also worked on issues related to carbon policy and pricing. His research has been published in the Journal of Accounting Research, Journal of Applied Finance, Journal of International Accounting Research and the Journal of Developing Areas. He teaches financial accounting courses at various levels and also teaches a specialized class that deals with the fair valuation for financial reporting. Pawan Budhwar is the 50th Anniversary Professor of International HRM at Aston Business School. He is also the Associate Pro-Vice Chancellor International, the Director of Aston India Centre for Applied Research at Aston University and the Editor-in-Chief of British Journal of Management and an Associate Editor of Human Resource Management. He received his doctorate from Manchester Business School. Pawan’s research interests are in the field of strategic HRM, International HRM and emerging markets with a specific focus on India. He has published over 115 articles in leading journals and has also written and/or co-edited 18 books. His Google Scholar citation score is 12,555. Pawan is the co-founder and first President of Indian Academy of Management, an affiliate of Academy of Management. He has served as an advisor to the Commonwealth Commission for six years and is a Fellow of the Higher Education Academy, British Academy of Management, the Academy of Social Sciences and the Indian Academy of Management and a member of the European Academy of Sciences and Arts. He has won numerous awards for his research achievements and has regularly received research grants from a variety of funders. He has been on the British Academy of Management Council since 2011 and served as the Academy of Management (US) Caucus Chair in 2009. He regularly delivers keynotes at major conference. Last month he had made a presentation to the UK Parliament regarding India-UK Trade Relations.